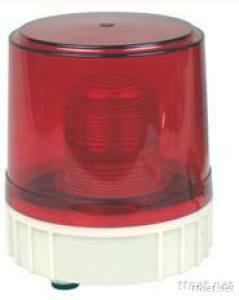 Product DescriptionHigh brightness LED strobe warning lights, high visibility, use without maintenance. External rotation shade, while maintaining high brightness, yet classic visual design, built-in unique filter system can effectively diffused LED lighting. The power consumption is about half of the incandescent bulbs. (100V / 200V AC), protection class IP54. Continuous fast strobe flash form to produce a strong visual impact, warning better.